In the UK, where government support for the Arts can seem penny-pinching at best, funding for the arts in Continental Europe can seem rather better when viewed from across the Channel. 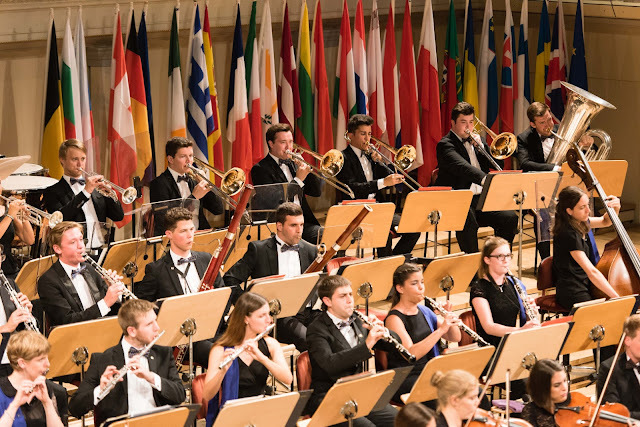 That this is not necessarily the case has become apparent with the announcement by the European Union Youth Orchestra that it will cease operations on 1 September 2016 owing to the lack of funding from the European Union. This is rather ironic because the orchestra celebrates its 40th anniversary this year, and is the only entity in Europe which represents and presents young cultural performers from all 28 member states at a high level of excellence. Until 2013 the orchestra was supported by the EU as a cultural ambassador, a role which it plays admirable. The orchestra has developed a summer home at the Grafenegg Festival and as part of the 40th anniversary celebrations has performances at the Grafenegg European Music Campus, the Slovak EU Presidency concert, the Wrocław European City of Culture concert, the Alpbach European Forum opening concert and the launch of a major 40th anniversary 3 year tour to all the 28 Capital cities of the EU'S member states. All the events this summer will go ahead, and the trustees will take responsibility for the tour and find funding. But without further support from the EU, the orchestra will cease operations. From the point of view of the slightly sceptical Briton, this is profoundly ironic because such organisations as the EUYO provide an important cohesive force in an increasingly fragmented EU. And of course, the orchestra's performances are terrific too.